Eying a new, big Plasma HDTV? 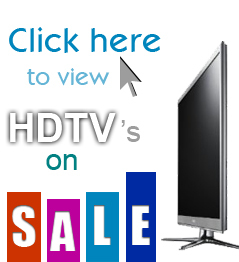 HDTV Universe reviewed all of the 2011 best Plasma TV’s on the market and found the best of the best. If you’re not sure which Plasma to take home, you can’t go wrong with the winners our 2011 Best Plasma HDTV list. Our Best Plasma list contains TV’s with innovative features like 3D TV capability and Internet apps and also excel in the necessary areas like refresh rate, contrast ratio, resolution (1080p, 720p, etc.) and others. Plasma TV’s have gracefully fallen from their historically crazy prices and are not much more in line with their LCD competitors. In many cases, Plasma’s can even be the more economical option depending on the size and features you’re interested in. The most common complaints of plasma revolve around the screen glare you may see if in a bright room and their heavy energy consumption but true videophiles know that Plasma HDTV’s often have the very best picture of the flat panels on the market. Samsung’s new PND8000 Series for 2011 is highly impressive. It’s picture quality is among the best on the market and it features a very attractive frame and stand. Let’s face it, the exterior appearance matters more than it should to all of us. The Samsung PND8000 series features the latest 3D technology and Samsung’s SmartTV features which include built-in WiFi, apps and a gateway to search for your programming and access the Internet. The Samsung PND8000 series comes in 3 size options – 51″, 59″ and an eyeful 64″ plasma screen. Many HDTV manufacturers are jumping out of the plasma market but LG has a new line up in 2011 that is a fantastic mix of price and features, an overall great value. The LG PZ750 series has 2 screen size options – 50″ and 60″. The LG PZ750 series is a 3D TV (THX 3D certified), has built-in Wifi with access to the Internet and services like Netflix and others. It does come with LG’s new “Magic Motion” remote which allows you to interact with the TV in a “Wii-like” manner. It’s fun but not a big deal. Overall, we like the LG PZ750 for its features and price. Panasonic is the undisputed king of plasma TV right now with some of the best TV’s in its class. While some manufacturers are running from plasma, Panasonic continues to launch and innovate for those looking for plasma HDTV’s. The 2011 VT30 series fits right in. Available in 55″ and 65″ models, the VT30 plasma TV’s have all of the new features you’d expect in an upscale plasma like 3D capability, Wi-Fi, plenty of connectivity options, 1080p resolution and more. Panasonic goes above and beyond with proprietary features like VIERA Connect (very useful if you have multiple Panasonic devices) and much improved, long lasting black levels (an issue with older Panasonic plasma). Panasonic isn’t exactly an industry leader when it comes to exterior design but their simple, black casing and stands get the job done. If you’re looking for a high performing plasma without the shiny (and typically unnecessary) coating, the VT30 HDTV’s should be on your list. While the VT30 series would be just about anyone’s dream plasma TV, the GT30 series is a little more realistic in price for the average shopper. The Panasonic GT30 series include a wider range of screen sizes including 50″, 55″, 60″ and the massive 65″ screens. Being Panasonic’s 2nd best plasma option, the GT30 series includes a lot of great features like 3D capability, Wi-FI, DLNA, and lots of connectivity options. You’ll also need to purchase some 3D glasses, if you have 3D programmings as the GT30 does not come with any. The first thing you’ll notice about the ST30 series is a huge variety of screen sizes including 42″, 46″, 50″, 55″, 60″ and 65″ screens. The ST30 series is the entry level to Panasonic’s higher level of plasma TV’s. You still get the really important features like 1080p resolution, 3D TV and others but you lose some of the extras like THX and a few connection points. But with a much more manageable price tag, if you’re not too concerned about THX and don’t need all of the connectivity options, the ST30 series is definitely the most economical of Panasonic’s lineup.